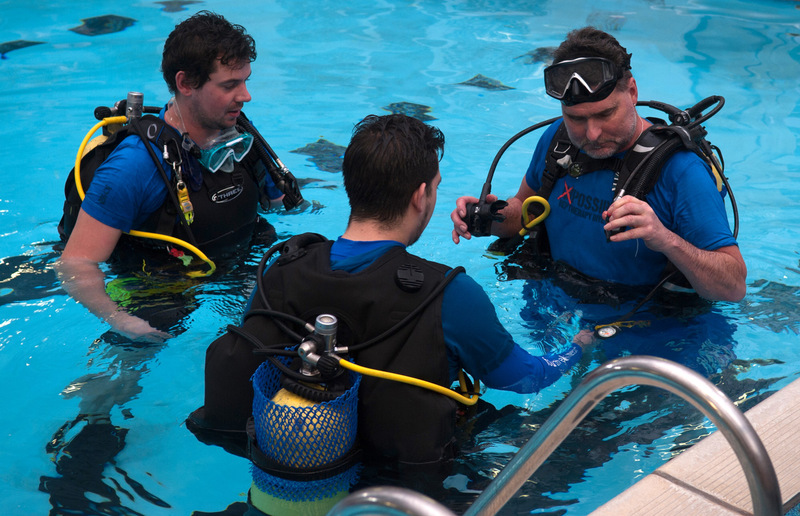 A team from scuba diving rehabilitation charity, Deptherapy, and PADI 5* dive centre Divecrew, have made a scuba diver’s wish for one, last dive come true this Christmas. Colin Clements, 60, from Woodley, Berkshire, is suffering from an aggressive form of brain cancer that will take his life in the near future. Knowing he would be unable to dive again, Colin donated his diving equipment to Deptherapy so that other divers could be helped by his loss. 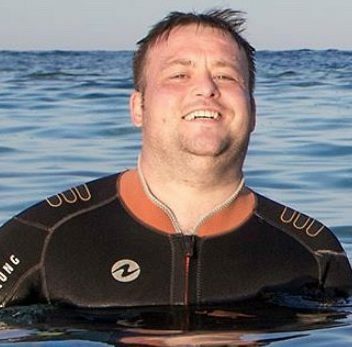 When contacting Colin to offer his thanks for this brave and selfless gesture, Richard Cullen, Deptherapy Chairman, was made aware that Colin had a dying wish to undertake one, last dive. Richard, and Martin Weddell, owner of Divecrew, enlisted Colin’s friend Daphne Pearson to help, and set about planning how to make Colin’s last wish come true. 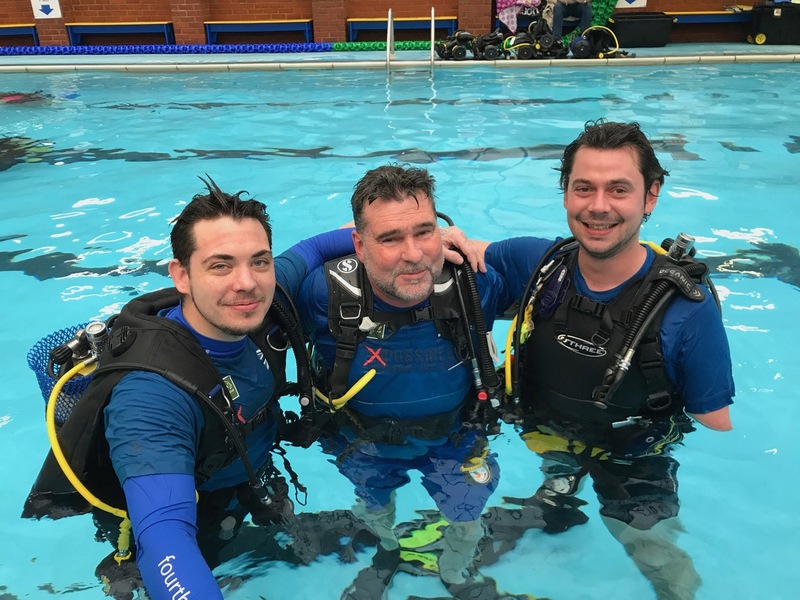 Colin’s last dive took place on Sunday 17th December at Eagle House School, Sandhurst. The dive was kept as a surprise for Colin until the moment he arrived at the swimming pool. PADI AmbassaDiver Gary Green, ex-Rifles, was blinded in the right eye by an IED in Afghanistan and suffers from acute PTSD. 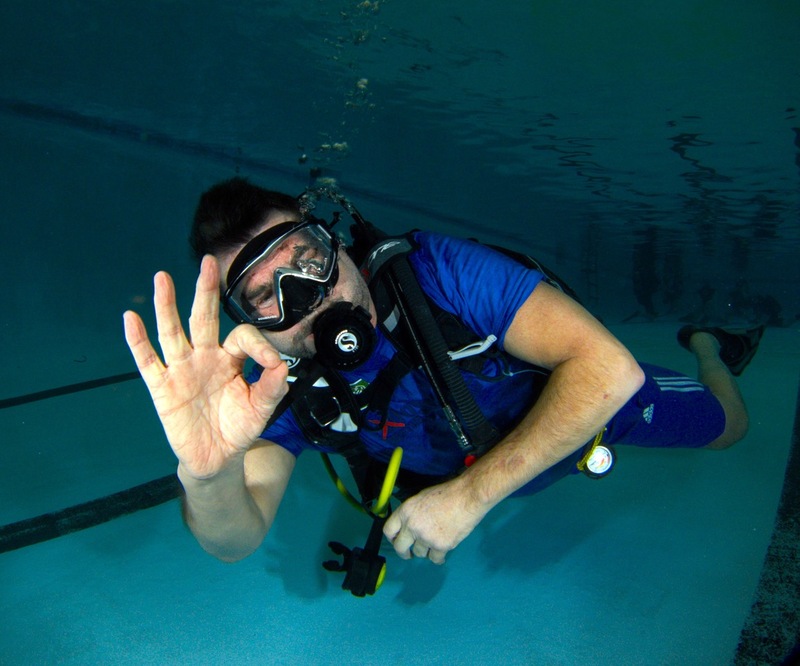 Gary is an Ambassador for Deptherapy, a Trustee of the charity, and a PADI AmbassaDiverTM. As a trainee Divemaster, Gary led Colin’s last dive. Chris Ganley, also ex-Rifles, served two tours in Afghanistan before suffering a devastating motorcycle accident that resulted in the amputation of his left arm and other serious injuries. Chris has received Colin’s donated buoyancy control device (BCD). 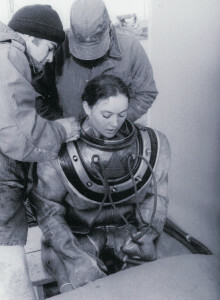 Colin spent about 15 minutes underwater with Gary and Chris, before unfortunately, being overcome with tiredness. 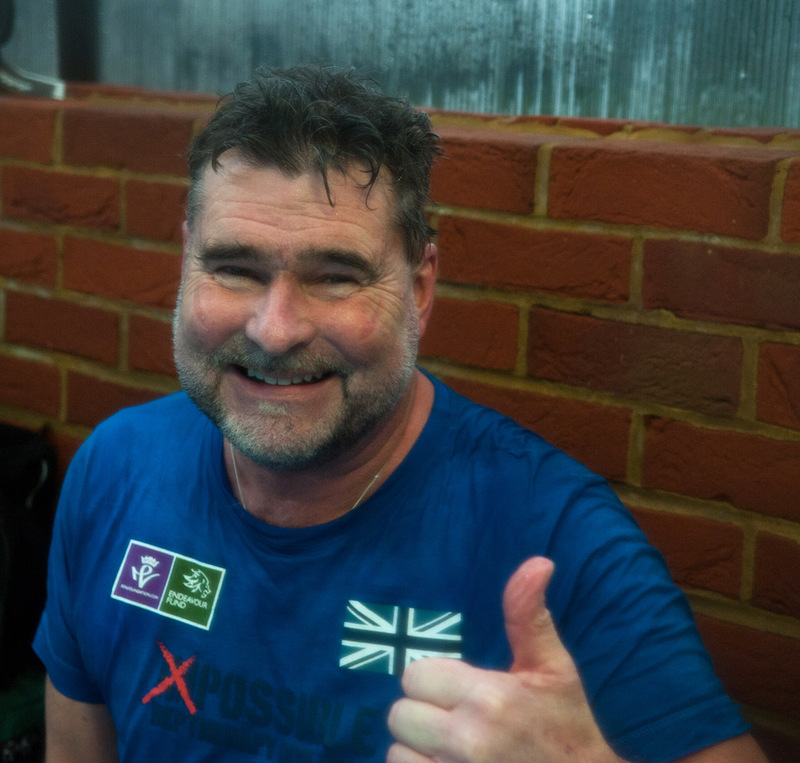 At times during the pool session, the emotion was overwhelming for everyone involved, including Colin’s friends who had come to support him and watch the dive.